We all know our bodies need ENOUGH water but HOW we drink our water can also have a big effect on our health. Proper drinking of water can help with good digestion and also acid/alkaline balance. Either of these can make the difference between you enjoying good health and suffering! 1. 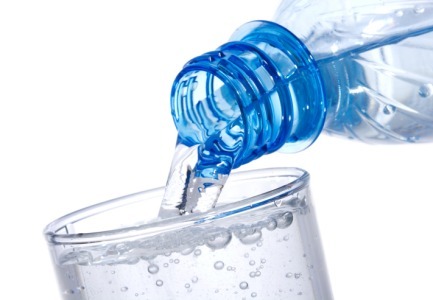 First thing in the morning: drink 2-3 cups of pure warm water or room temperature after your night of fasting. It is important that the water has nothing in it so that is passes through right away. If it contains anything at all (not even lemon juice), it will stay in your stomach up to one hour not going into cleansing mode. The water will flush your kidneys and bladder clean out fasting debris from your stomach and colon. Prepares the stomach for food by stimulating the glands on its walls. Drink warm or hot water as it is gentler on the empty stomach. 2. This water should be warm, not hot and not cold. Cold water is shocking to a warm stomach. In fact very hot or very cold is never a good idea. Those who continually drink very hot drinks are more likely to develop throat cancer and digestive difficulties. 3. Avoid drinking right before a meal. Drink between meals if needed but wait for 1 – 2 hours before drinking anything. 4. For those with any constipation problems it is useful to drink 1 or 2 cups of warm water before bed. 5. 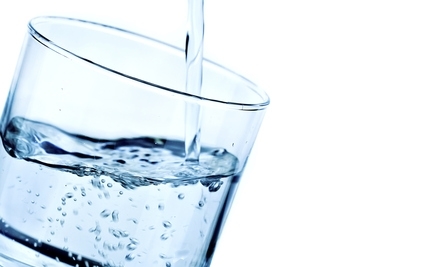 Tap water has chemicals added it is best to drink purified water. Chlorinated water can destroy nutrients your body needs, such as Vitamin A, B, C and E and fatty acids. Some chronic skin conditions like eczema, acne and psoriasis may clear up or improve by simply switching to unchlorinated drinking water. Buy a good filter. They don’t have to be expensive. 6. Eliminate plastic bottles, pour your water in a glass or metal bottle, so it’ll be free of plastic contaminants. 7. Slowly decrease the amount of packaged juices you drink while increasing water intake. Fresh juice is fine to drink. Packaged juices tend to have chemicals that are deposited in our bodies with detrimental health effects. 8. Eliminate soft drinks as they tend to have acid content that negatively impacts the teeth and mouth. 9. Herbal teas are acceptable to include its volume as part of the water quota to be drunk at that time. Thanks for the water guide. I HAVE YET READ ABOUT DRINKING WATER..
EVERYONE SHOULD FOLLOW YOUR WORDS..
HOW CAN I PRAISE YOU MORE THAN THAT..
KEEP THE GOOD WORK FLOWING..
MOLLY PARKIN, PAINTER, POET, FASHION ICON, AGE 82 …MAD ABOUT WATER! For 15 years, my wife and I have been each drinking a liter of room temperature water every morning when we get up. Then we do not eat ANYTHING for at least 45 minutes. We are 73 and still healthy. We camp in a tent in Florida for two straight months each winter and are pretty rugged. It is good to hear some of the reasons why water intake is helpful to the body. We have used filtered water for decades and almost never drink water from plastic bottles. Drinking several glasses of water first thing in the morning is common in far eastern cultures. We live in Ohio and also keep our thermostat at 65 in the winter and 84 in the summer to avoid temperature stresses on the body as we move in and out of the house in cold or warm weather. This also saves a lot on utility bills. Bob, thank you for your inspiring story of what you and your wife do. There is no reason to start living as if we are old that just makes us old. I am proud of both of you and would like to see pictures of when you are camping this winter. Let’s stay in contact. Perhaps if you are up to it we could feature your story. I only eat electric food?and your guide to drinking water is very nourishing. enjoyed reading about your adventures of drinking water and I’m forcing myself to drink more water.